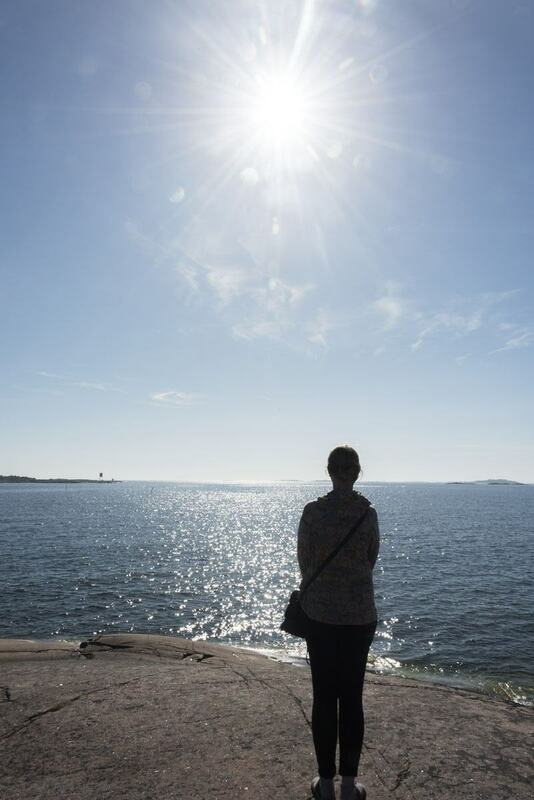 Our hike across mainland Finland came to an end in Hanko, Finland’s southernmost city, dubbed (by us) capital of summer. After two weeks of so and so weather, summer finally arrived with sunshine, warm temperatures and a cool breeze just as we were about to visit Hanko. 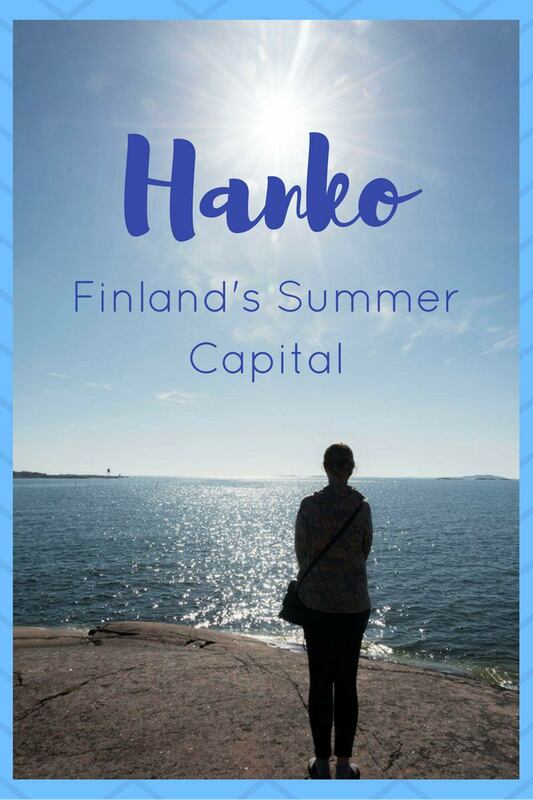 Here we share 5 things to do in Hanko! 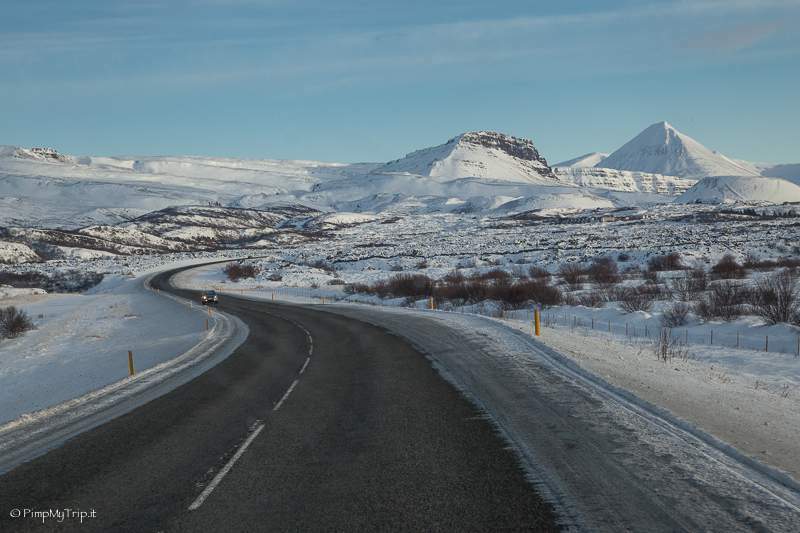 When I was a kid, I used to read several books set in Northern Europe. One of my favourites was Astrid Lindgren’s Vi på Saltkråkan, Seacrow Island in English, narrating the adventures of a family spending the summer on an island on the Stockholm archipelago. I remember dreaming about midnight swims, evening escapades in the forest, never ending sunshine and the calm, idyllic atmosphere of the North in summer. 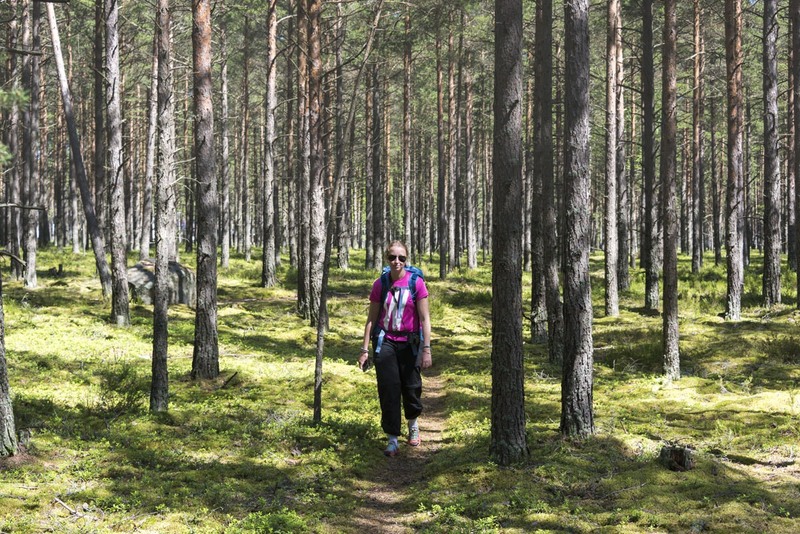 That’s kind of how we had imagined our hike across Finland would be. Walking in the forest, picking berries in a wicker basket, making camp on the edge of a pristine lake, where we could go for a skinny dip after having eaten dinner cooked on an open fire. 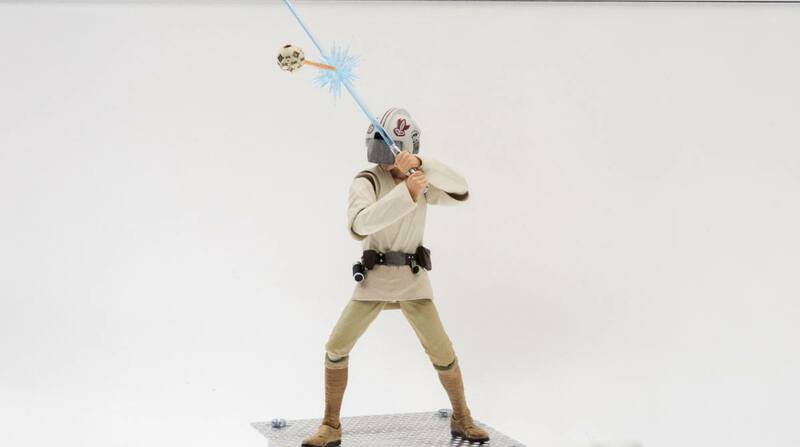 Did reality match my expectations? Not quite. The scenery was every bit as beautiful as we had imagined it, but the weather didn’t quite cooperate. We did have two stunning days when we visited Porvoo, but then we got soaked with rain in Fiskars and Lohja, almost froze to death in Sipoonkorpi and explored the Helsinki islands in the cold wind. It wasn’t even a particularly cold summer – it was totally normal, even ‘above average’ as our friend Eva said. I guess I may be a Mediterranean wimp, not used to the ever-changing Northern weather, with clouds zipping through the sky at lightning speed and showers coming when you least expect them. 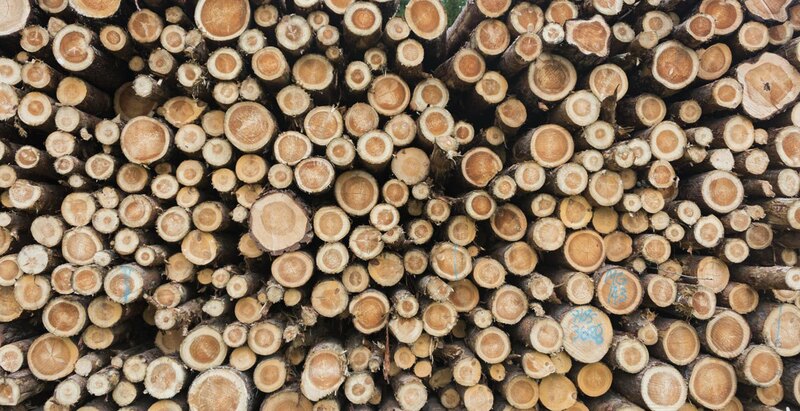 Can you spot the little bird? 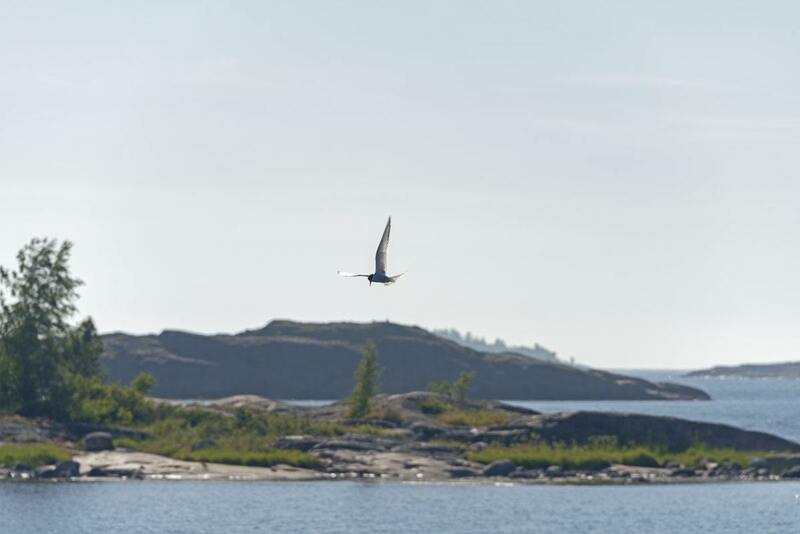 Reasons to visit Hanko… and hike there! 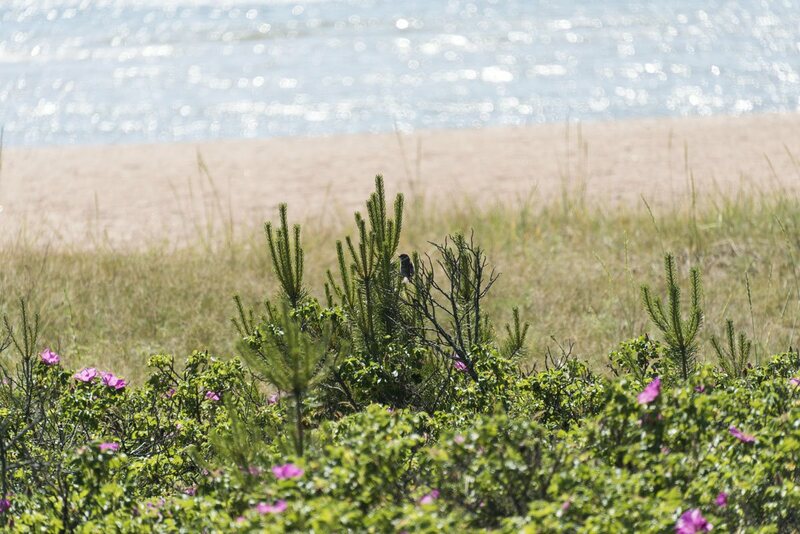 Hanko was where my summer dream came true. By that stage, we had been hiking for 9 straight days, and camping a fair bit, after spending two days in Nuuksio National Park. 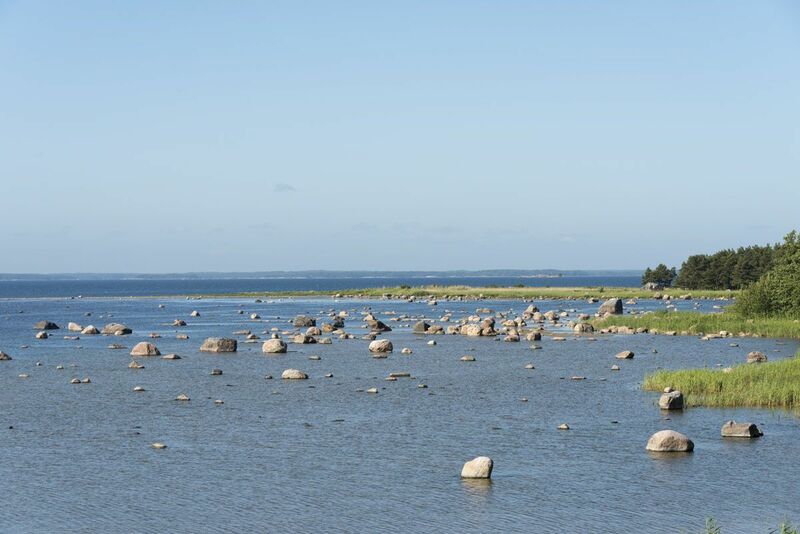 Hanko is situated at the tip of a peninsula where mainland Finland ends and the Finnish Archipelago begins. 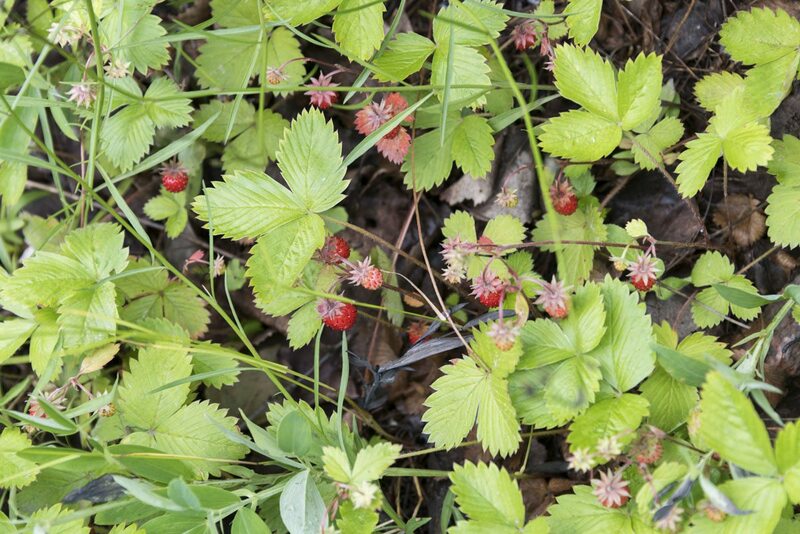 We reached it after a long and sweaty hike from the town of Ekenäs – first walking along a busy highway, with tiny wild strawberries growing on the roadside, then through woods and along the coastline. I’ll never forget my first look at the sea. Reaching the coast after hiking inland for a few days is a cathartic experience, washing away the worries and hardship of the busy days we just left behind. 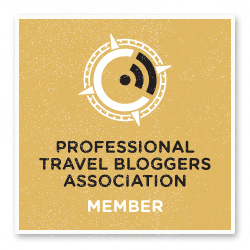 The sea breeze, shimmer of the midday sun as it hits the water, murmur of the waves and rustle of the leaves – everything just made me want to drop my backpack and run into the Baltic, with its milky-aquamarine waters and foamy wavelets. Except that I knew it would have been far too cold. 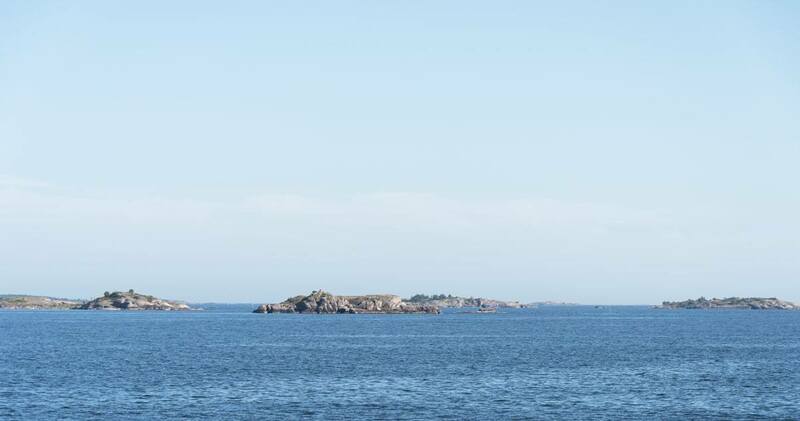 We only spent one day in Hanko, before sailing away to Bengtskär, the dreamiest destination of this whole trip. 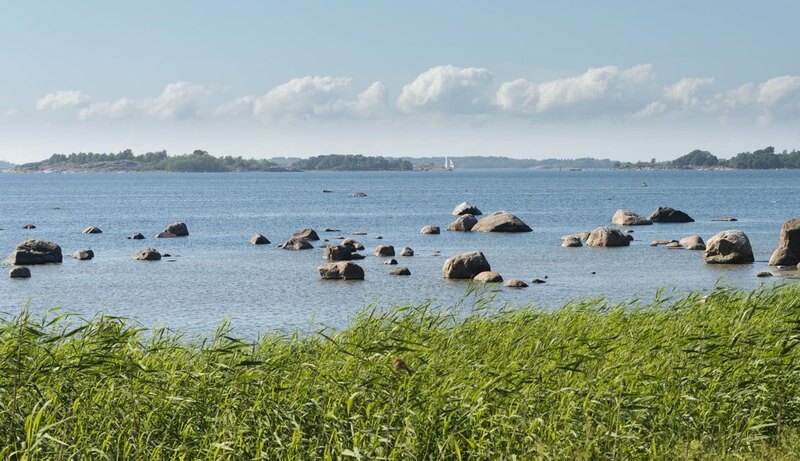 We were lucky to have an awesome summer day, which gave us the chance to find some great things to do in Hanko. Here are five ideas, just perfect for a summer day out. Does anyone know the name of these blue flowers? I guess we weren’t the only ones to enjoy the warm temperatures and sunshine of this Finnish town. 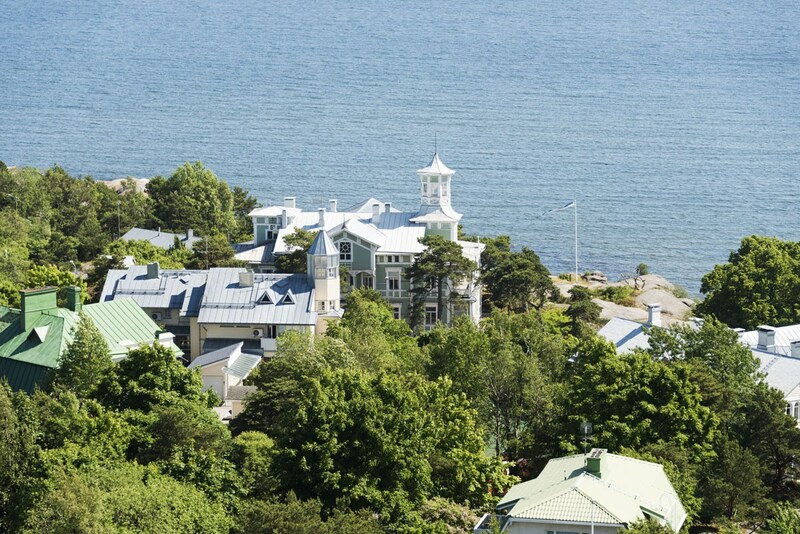 Between the late 19th and early 20th century, when Finland was under Russian rule, the town became a popular SPA destination for the Russian elite, making Hanko the ‘French Riviera’ of Finland. Walking into the city from the east, as we did, you’ll pass the SPA Park, where most buildings dating back from the fin-de-siecle era can be found. 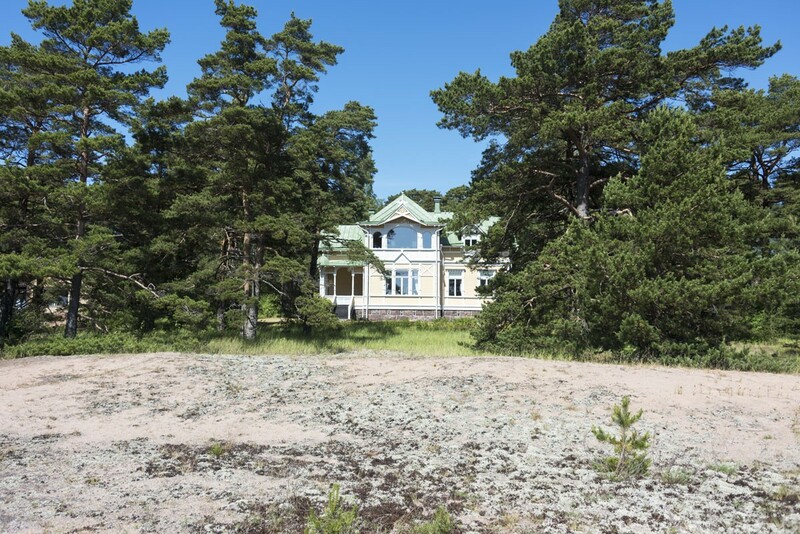 There are brightly painted multi-storey wooden villas, with airy verandahs and balconies, where wealthy Russians sipped tea from their samovars with a view of the shimmering Baltic. 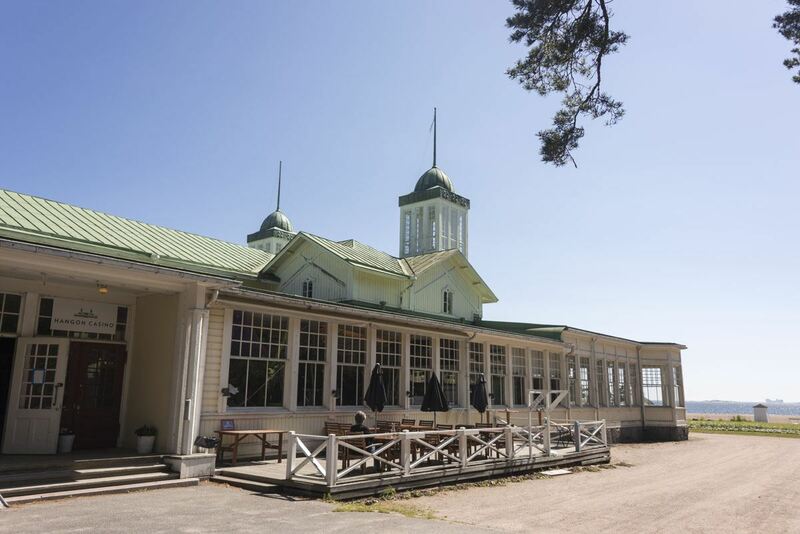 The Hanko Casino nearby used to be a banquet hall and now houses restaurants, nightclubs and a casino, with a great view on the Baltic. Some of the wooden buildings used to be dance halls, bath houses and banquet halls, and have now been restored and turned into restaurants and hotels, whilst others are rented out as summer homes – trust me, don’t miss having a walk around SPA Park if you’re an architecture lover, and even if you are not. These villas are truly stunning. 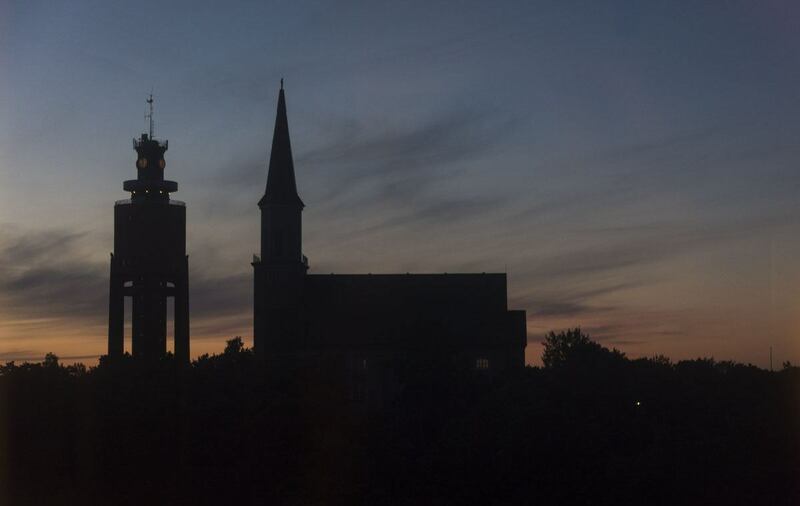 Hanko’s most popular landmarks are Hanko Church and the Water Tower, sitting side by side on a hill overlooking the city and the Baltic sea. Both buildings were badly damaged by bombs during WW2, when the town was at the centre of battles between the Finnish and Russian army, and have since been restored. 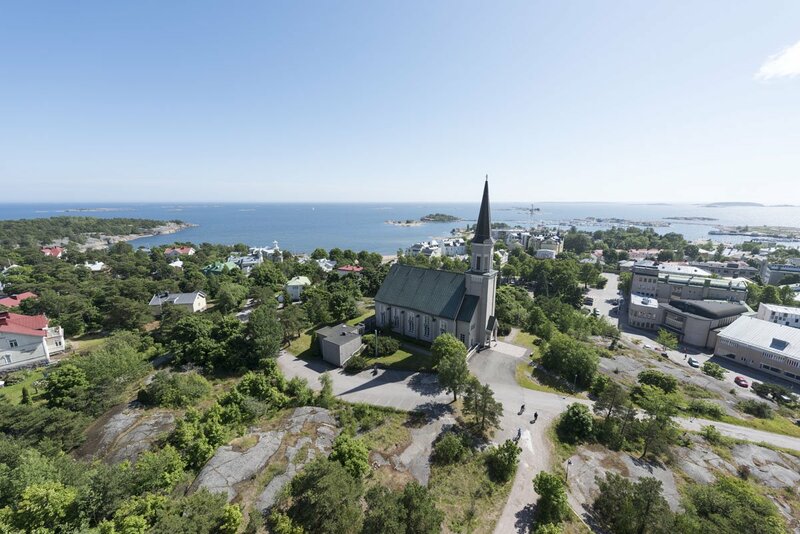 The original Hanko Church was built in 1892 in neo-Gothic style. It was closed when we visited, so sadly we couldn’t go inside. 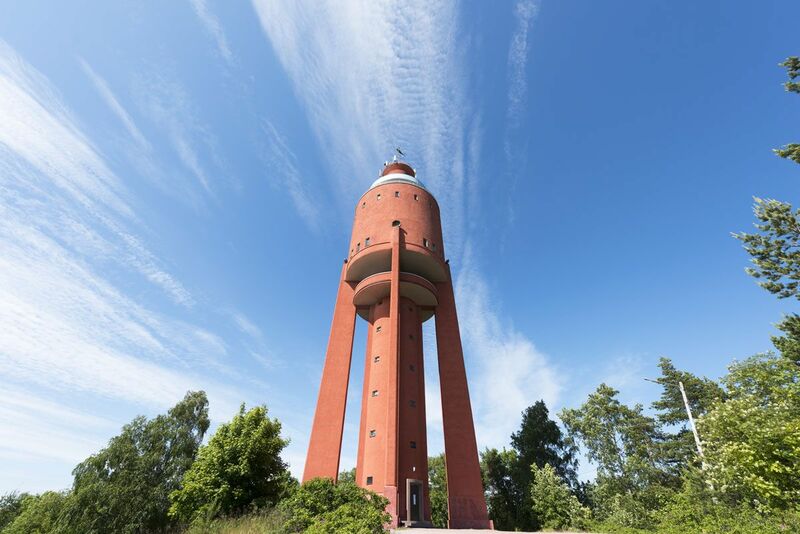 The huge red water tower, visible from anywhere in town, is open a few hours a day in summer – we were lucky to get there in the nick of time before it closed at 4 pm, get a lift to the top and enjoy a 360° view of Hanko, its forests and archipelago – that we would explore over the following week. 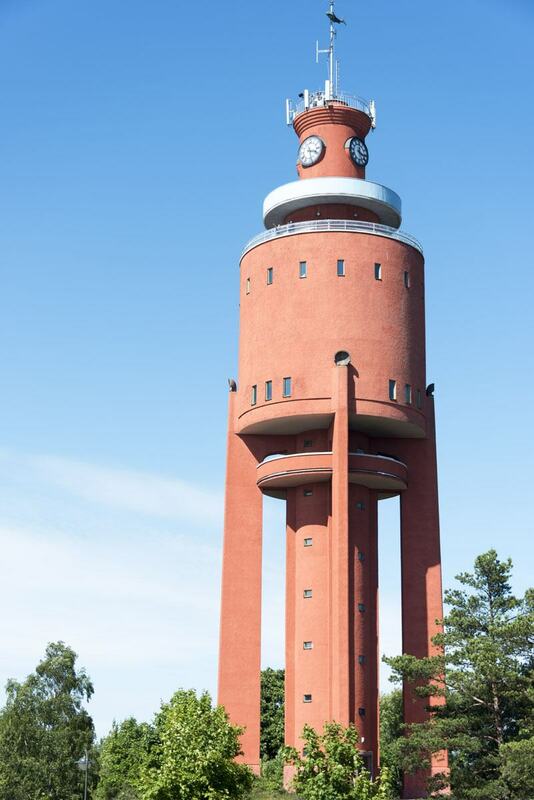 We recommend timing your visit to Hanko to be able to visit the water tower, as the view is really spectacular. If you can’t make it during opening hours, you can book a guide that will open the tower for you. Get in touch with Hanko Tourism for info and details. 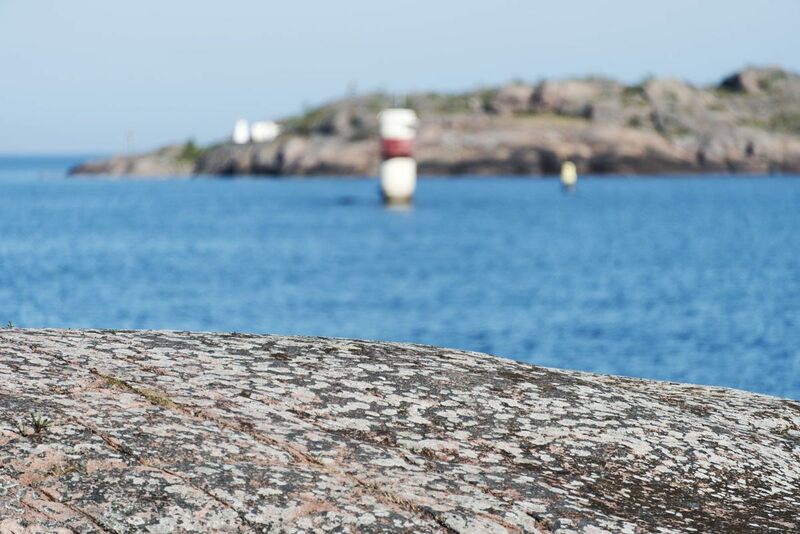 Hanko is Finland’s southernmost city, but the actual southernmost point of mainland Finland is a rocky promontory about 5 km away. I can’t resist the feeling of ‘standing on the edge’ of south-north-west-easternmost places pretty much anywhere, plus we were told it was a nice hike, so we decided to head there in the afternoon. 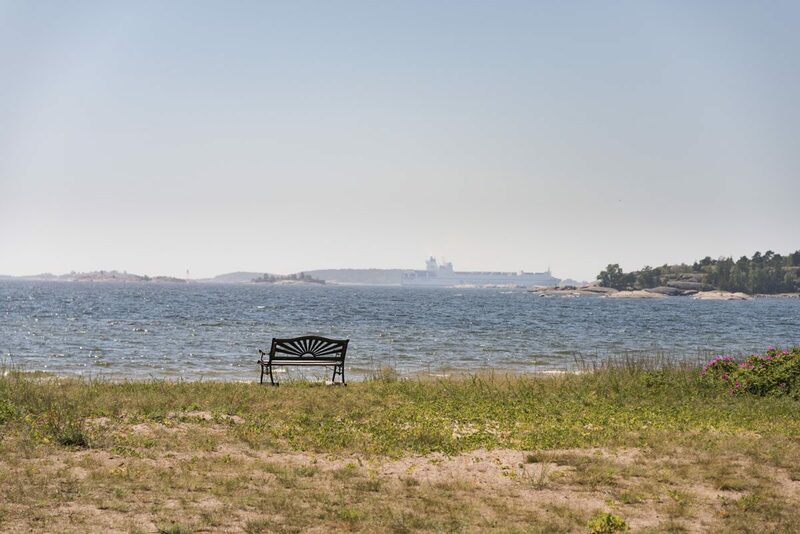 The trailhead is about 3 km west of town, past Hanko station and harbour – where hundreds of thousands of Finns sailed to America in search of a better life, around the same time when wealthy Russians enjoyed summertime in their villas. 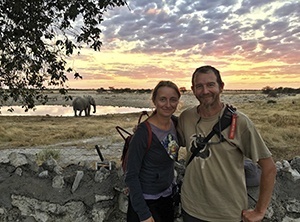 The trail winds around a pebble beach with crystal-clear water, before making its way through a patch of forest with the remains of wooden military barracks and finally leading you over the pink granite rocks on the edge of the promontory. Standing on the edge of Finland, with the sun still high in the sky at 6.30 pm, a warm breeze blowing and nothing but silence and nature around us was… well, it was something. 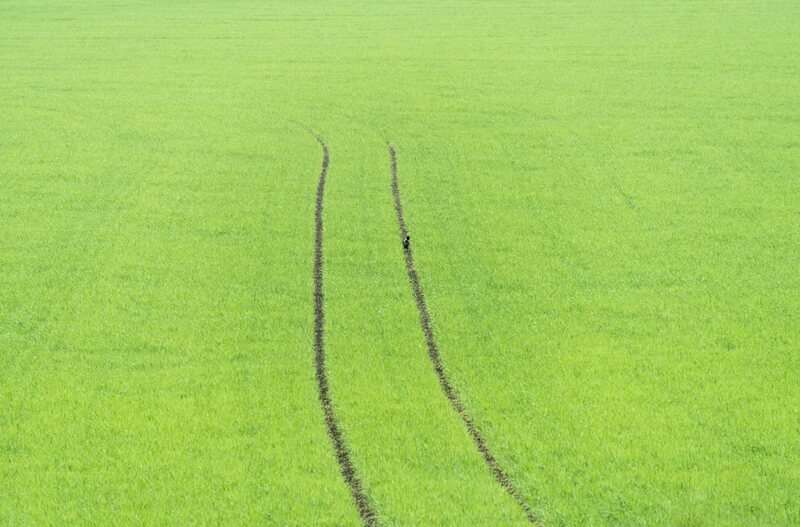 One of those perfect moments, where nature puts on her best dress and dances for you. It was the day of the Summer Solstice, and little did I know that more magic was yet to come. Our walk to Hanko began from the town of Ekenäs about 30 km away, known as Tammissaari in Finnish. 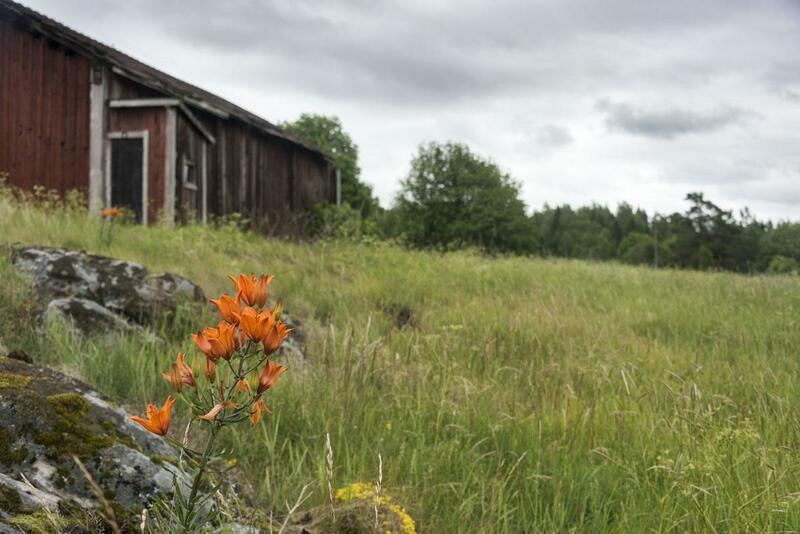 Ekenäs was one of the places in Southern Finland where the Swedish influence was strongest – we were often greeted with hej instead of moi, and thank you was takk instead of kiitos. Ekenäs was founded by the Swedish king Gustav Vasa, with the plans of turning it into a huge port. This never happened, and it remained a quiet fishing village for most of its history. Nowadays the village has grown into a small town, but it still retains a quiet atmosphere, especially during the week. We enjoyed wandering around the Old Town with its colourful wooden houses, one of the best preserved in Finland. 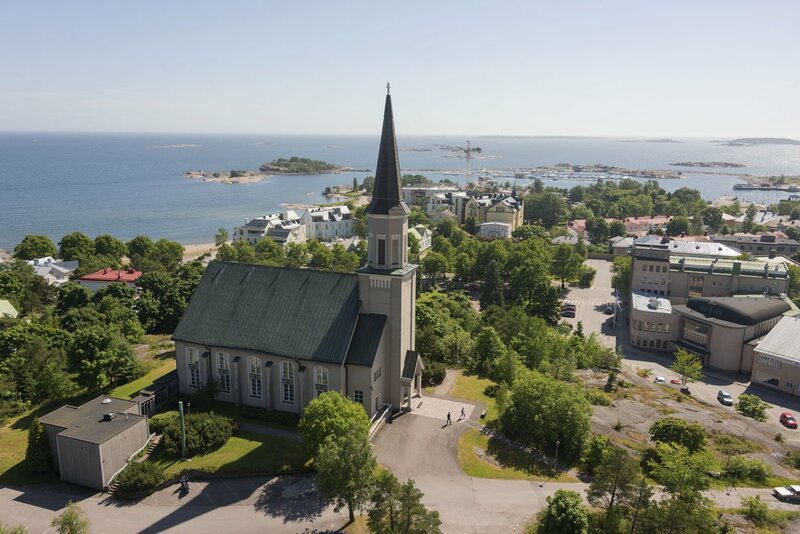 Ekenäs makes an easy day trip from Hanko – the two cities are connected by frequent trains that take only half an hour. 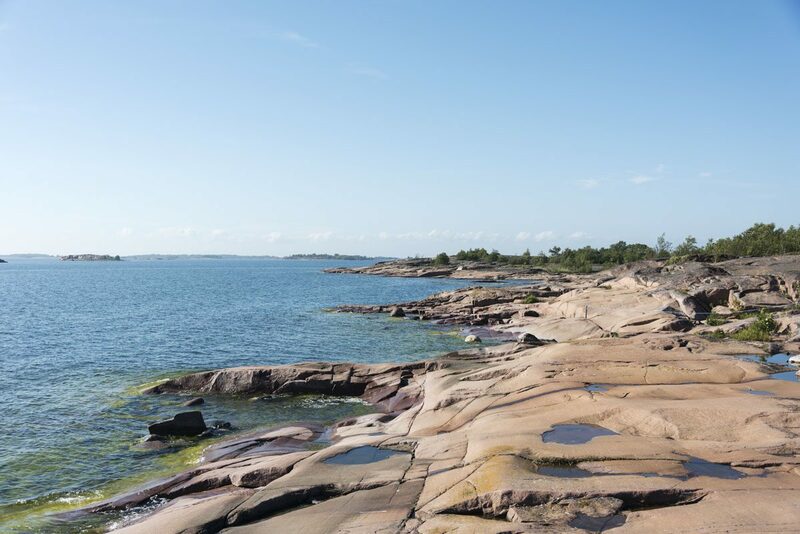 If you fancy hiking between Ekenäs and Hanko (or vice-versa), we recommend doing the Ekenäs – Lappohja leg by train, and following the coastal road between Lappohja and Hanko – you’ll be rewarded with wonderful views of the coast and forest. 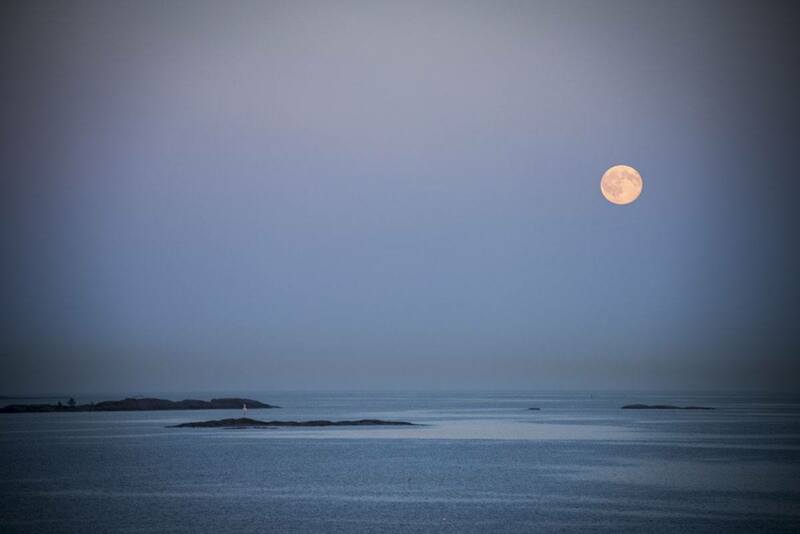 Another reason to visit Hanko? Excellent seafood. We only had one night in Hanko and decided to have dinner at Restaurant Origo, set in an old warehouse building dating back to the late 19th century. 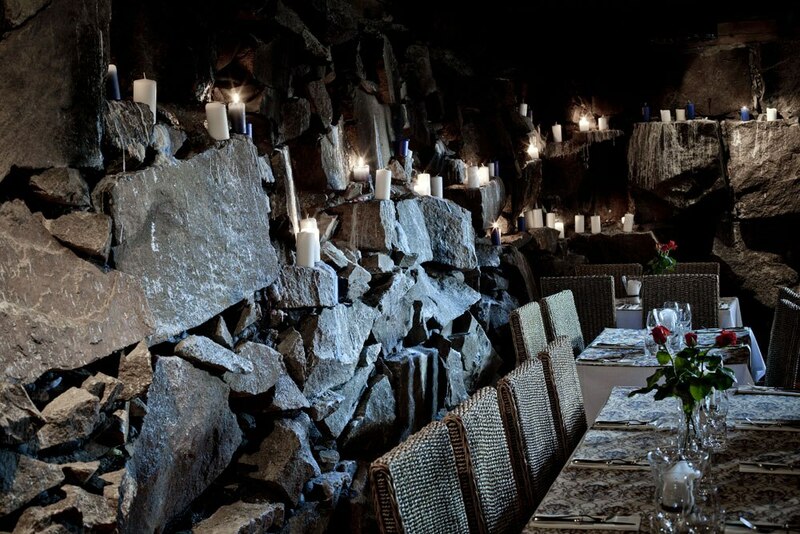 The old stonework has been preserved, and the restaurant is lit with candles and dim lights, lending it a very romantic atmosphere. We both enjoyed creamy salmon soup as a starter, with buttered Archipelago bread – we would have Archipelago bread pretty much daily over the following two weeks, as we both loved its sweet, almost cake-like flavour. 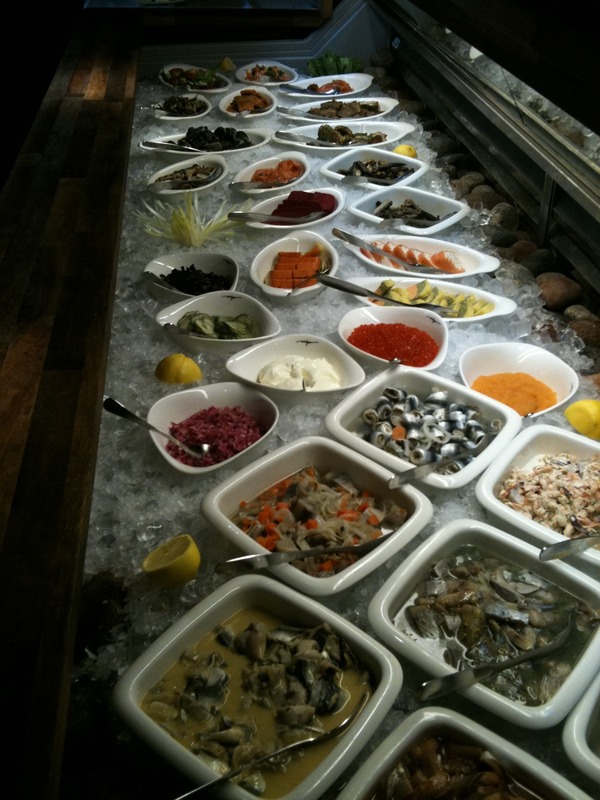 As a main course I had a selection of specialties from the ‘Archipelago buffet’, containing over 40 specialties including herring, smoked, cured and poached salmon, fried white fish, creamy prawns and more. Nick enjoyed organic lamb from the local Bovik farm served with polenta, a really tasty dish. 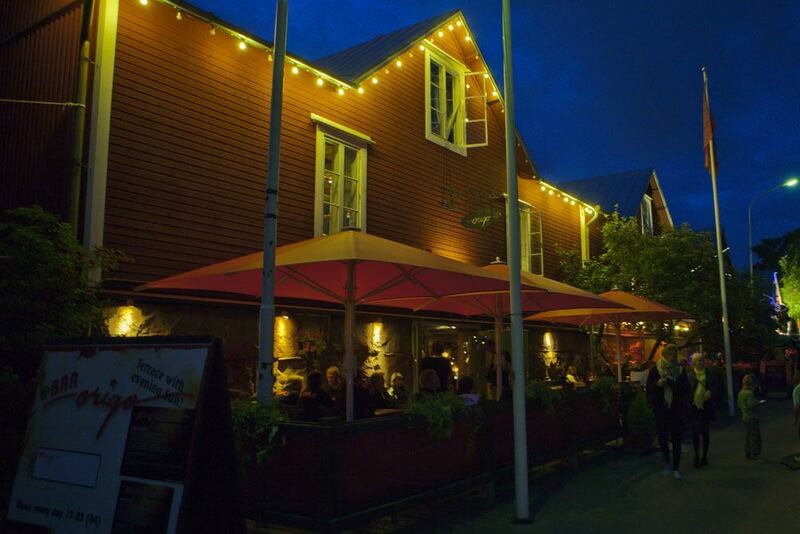 It was too cold to eat outside (for us at least), but the restaurant is very close to the waterfront and has some outdoor seating, a great option on a warmer night. We spent our night in Hanko in one of the nicest hotels of our whole trip – the Hotel Regatta, where we were lucky to have a top-floor room with a great view over the sea and the coast. Hotel Regatta was originally built in 1859, but it was recently renovated and refurbished with Nordic-style design furniture. A SPA hotel is currently being built right across the road on the edge of the beach, and it’s due to open in spring 2017. Our room was really comfortable, and we really enjoyed our (brief) stay in Hanko. It was Solstice night, the brightest of the year. A magical day had to end with a magical night, on such a special time of year – and so it did. The Strawberry moon floated over the Northern sky, while all Nature was at peace. We would like to thank Ilse at Visit Hanko and all the staff at Restaurant Origo and Hotel Regatta for this wonderful experience. Great that you enjoyed Hanko. It is my favourite summer town in Finland. No Qilli, the sea was actually in the sky, a magical phenomenon that only happens at solstice time! Lol just kidding – thanks for pointing out the mistake! Greetings from Hanko! Too bad the sea was cold when you were here. 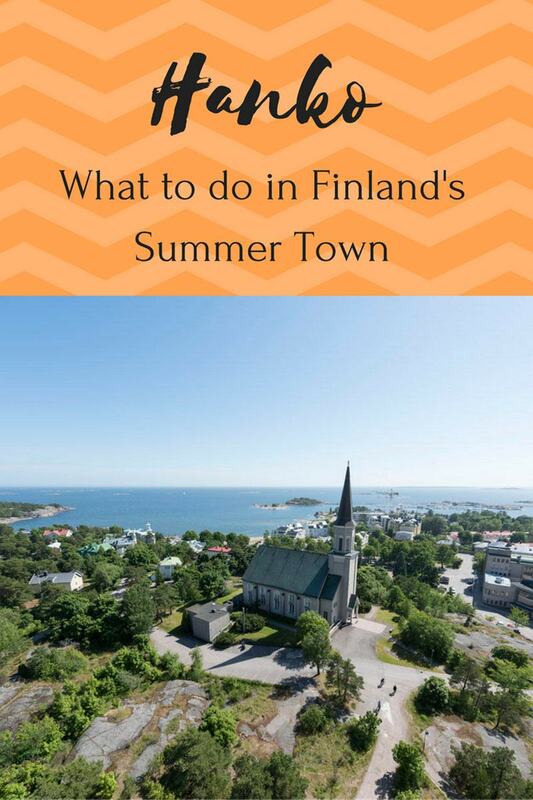 Next time you might try visiting Hanko in August when tourists are gone. It’s still Summer here and the sea is often at its warmest. 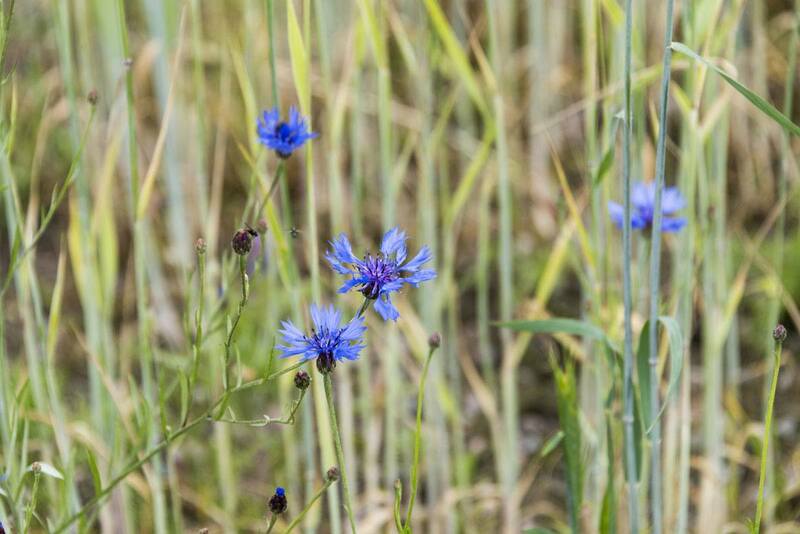 The blue flower is a cornflower. Thank you so much for your comment Kiki! 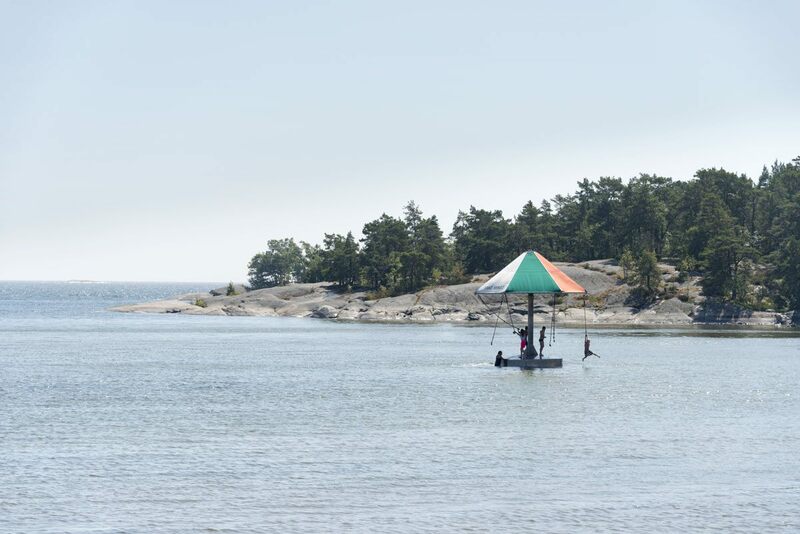 We loved Hanko and we’re really hoping to return, so August sounds like a really perfect time. Even though it might still be a bit chilly for me… I’m from Italy so I am used to Mediterranean temperatures! Thanks again! Thanks so much! I didn’t know!